There was a time that 5-inch 720p HD screens were a luxury available only on the priciest flagships. Now you can get one for $130. The Lumia 640's screen is great, especially at this price point. Microsoft's Clear Black LCD panels have always been good, and the 640's screen impressed. It's pixel-rich and everything looks sharp and clean. Colors are accurate and pleasing to the eye. Brightness is quite good, and I had no trouble using the phone indoors or out. Viewing angles are decent, but I've seen better. It's a good screen. Cricket operates on AT&T's network around the U.S. That means it enjoys the same coverage and country-wide service. The 640 performed admirably on Cricket / AT&T's network in the greater New York City area. It hopped onto the LTE network whenever and wherever it was available and only dropped to HSPA a handful of times in areas known to have weak coverage. The 640 never lost touch with the network completely and was always able to make and connect calls. The phone didn't drop any calls, nor did it miss any due to signal issues. Data speeds are gimped by Cricket to 8 Mbps, but the 640 consistently matched that speed most of the time I tested it. In other words, it performs as quickly as Cricket allows it to. You won't have trouble checking your social networks, but uploading photos to Instagram sometimes takes a few extra seconds. A scalpel and a saw are both cutting instruments. The Lumia 640 is a serious saw in terms of volume, but not quite a scalpel when it comes to call quality. It rips into your ear bluntly rather than slice with finesse. The earpiece produces so much volume I had to hold the phone away from my ear in order to save my poor eardrum. Conversations are certainly loud, but at the cost of clarity. You can improve clarity somewhat by keeping the volume set at 3 or 4 out of 10. The speakerphone, too, produces prodigious amounts of sound. You can hold a conversation via the speakerphone in all but the noisiest environments. People I spoke with via the 640 said I sounded amazing. Ringers and alerts are quite loud; you won't miss incoming calls or messages for not hearing them. I thought the vibrate alert was decent, but would have prefered a bit more strength. 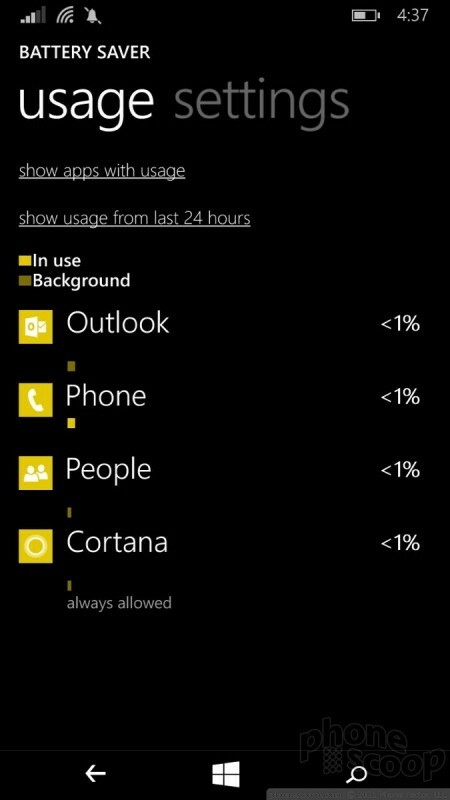 The phone includes Microsoft's usual battery saver tool. 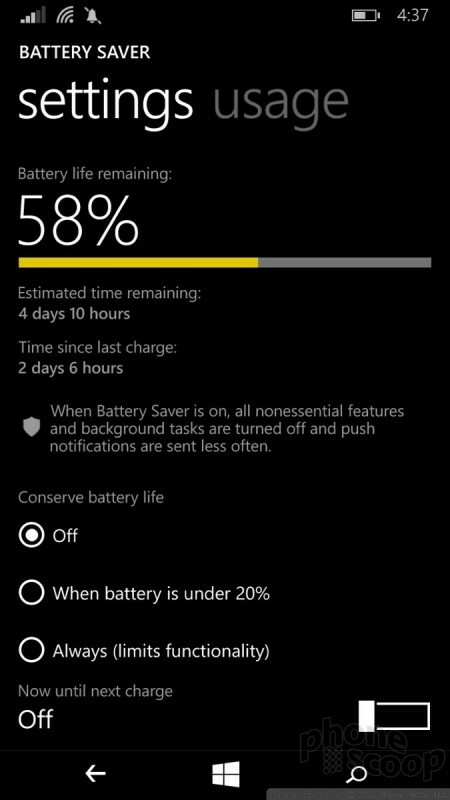 You can set the battery saver to engage when the battery reaches 20% or turn it on manually. Once on, the battery saver turns off most background processes and severely limits push notifications to conserve power. Cricket Wireless today said the Lumia 640, which goes on sale May 15, will cost $129.99. Early buyers of the phone will be rewarded with a one-year subscription to Office 365 Personal for use on the phone as well as on a tablet and on a PC. T-Mobile recently added the Microsoft Lumia 640 to its web site and described the device as "coming soon." Microsoft revealed the Lumia 640 at Mobile World Congress earlier this month. The phone has a 5-inch HD screen, 8-megapixel camera, LTE, Bluetooth, WiFi, GPS, and Microsoft's productivity apps. Microsoft today announced the Lumia 640, a new Windows Phone. It has colorful and interchangeable rear shells.